I had only an inkling what mentorship was before I took my training with TalentC. 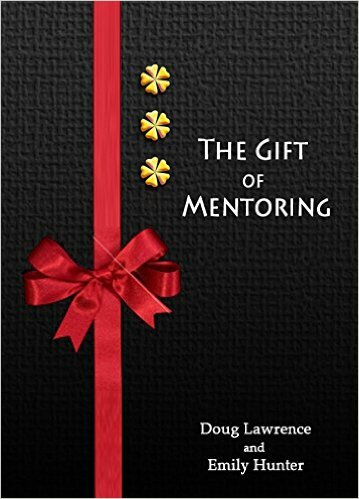 After taking both Levels One and Two to become an Internationally Certified Mentor, I now see the tremendous impact mentorship can have on an organization, a group of any size and most importantly personal life. Through my own mentoring work I have witnessed amazing positive results through these 2 areas, self -confidence and practicing better communication. With the growth of self -confidence it allows one to become a risk taker. Mentees have commented they no longer feel alone and isolated with their problems. They now have someone to celebrate the positives and successes no matter how small. For example, positives/successes I’ve seen include de-cluttering a desk to become more organized to restarting training for a job that she is passionate about, which, in the long term will allow her to move out of her current employment. My own self confidence has grown, as well, to be able to ask more meaningful questions and to establish a trust that allows a mentee to become comfortable to share concerns and begin to develop an action plan. The second, better communication, I feel both my mentee and I have benefited the most. It was important to make the time to pre-plan upcoming conversations, especially those that are perceived as difficult. First to identify your goal or purpose for having this conversation, next, to identify areas that may be challenging, finally to ensure your thoughts are presented clear and concisely. Together “WE” support a change –personal and/or professional. With a guided approach, the people I have worked with have been able to think through the steps needed to resolve their current problem while at the same time have the confidence to tackle the next one. The course continues to drive home the point that critical thinking skills are desperately needed in today’s world, more than ever. Mentorship may take some time and dedicated consistency but the benefits gained both personally and professionally are exponential!! !